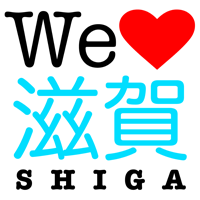 Happy to announce that I’ve finally opened a Twitter account for shiga-ken.com. It’s called Shiga Headlines and anybody can read my tweets (Twitter posts) without joining Twitter. Twitter is good for news headlines, notices, announcements, and tidbits. It will complement my Shiga News blog very well because it will fill in the need for quick and short news items. I’ve already installed a Twitter widget (box) on the home page and Shiga News blog where you can read my tweets side-by-side with Shiga News posts. Shiga Headlines will be dedicated to short and snappy posts while Shiga News will continue to have longer and more detailed posts. Content-wise, Shiga Headlines will be quite different from Shiga News and you will end up reading both. At Shiga News, in the right side bar. At shiga-ken.com home page, in the right side bar. In your Twitter timeline if you are a registered Twitter user and clicked on “Follow” Shiga Headlines. You can also access this blog post to see my tweets in the embedded box (widget) below. Twitter is a free microblogging service based in San Francisco, California. It’s a microblog because the posts can only be 140 characters or less. That’s only one or two typical-length English sentences (as you can see above). Posts to Twitter are called “tweets” which appear in a timeline. The most recent tweets appear at the top. The Twitter timeline can be read on the Twitter Web page or in a Twitter widget box embedded in any Web site. A hashtag is a word or phrase prefixed by the # symbol. It is used to group tweets together. So in my tweets, you may see #nagahama, #hanabi, etc. When you click on or search for a hashtag, tweets having the same hashtag will appear in the results. When a tweet includes a link, the link will look abbreviated or incomplete because Twitter shortens it automatically. But it is still a valid link that you can click on. Although you need not open a Twitter account to read people’s public tweets, you do need a Twitter account to write a reply to tweets. You don’t have to click on “Follow” to read a person’s public tweets. Anybody can access Twitter and read people’s tweets without registering. People can also read tweets in Twitter widgets embedded on Web sites. Thus, you don’t need to have “followers” to have an audience for your tweets. The audience for Shiga Headlines will mainly be people who visit shiga-ken.com and Shiga News rather than Twitter followers. Having followers enhances the social networking of your tweets since followers can retweet/repost your tweet in their timeline or mark tweets as a “favorite.” But the number of followers does not accurately reflect the size of your audience. Twitter also enables you to easily archive all your tweets which you can save locally on your computer. This is not possible with Facebook. If you don’t have a Web site where you can embed a Twitter widget or if you’re using only Twitter to deliver content, then your followers will be your main audience. But you’ll never know how many of your followers are actually reading your tweets. A lot of people are overly obsessed with their number of followers, FB friends, Likes, subscribers, etc. Don’t fall victim to this numbers game and other silliness of social networks. Be more obsessed with content quality and how useful and helpful you can be to others. Twitter is just another viable method to deliver timely online content for everyone. You can be sure that I would never use it for pointless babble.